Rajasthan Jail Prahari Final Result Check Here. Rajasthan Jail Prahari Revised Result 2018 Check Here. Rajasthan Jail Prahari Post Answer Key 2018 Check Here. Rajasthan Jail Prahari Post Re Exam Admit Card 2018 Check Here. 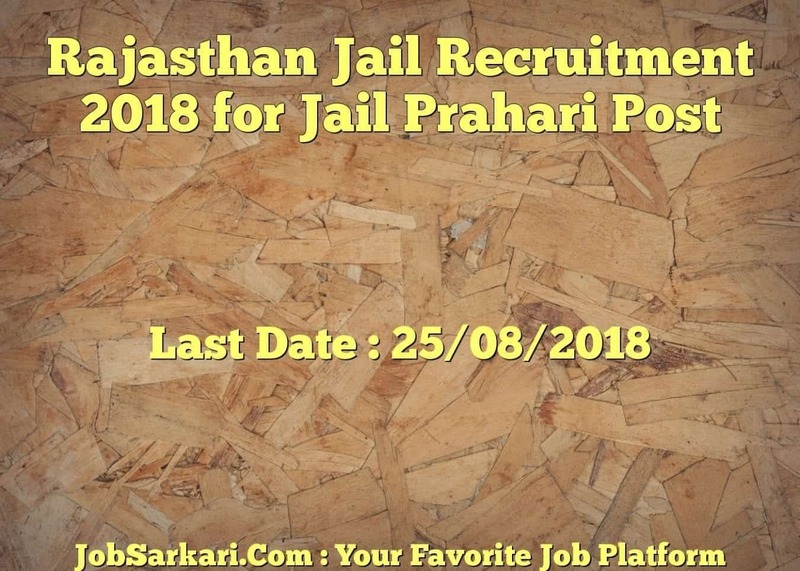 Rajasthan Jail Prahari 2018 Admit Card of Jaipur, kota, TSP Udaipur Mandal Check Here. Rajasthan Notification is out. 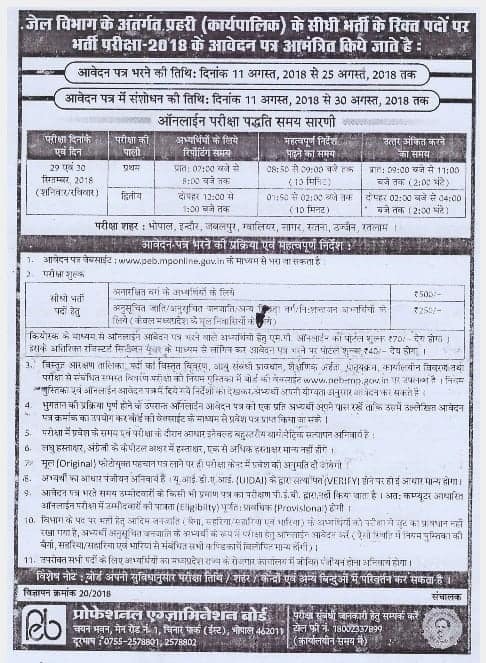 Rajasthan is recruiting for 670 Jail Prahari Post 2019 Final Posts. 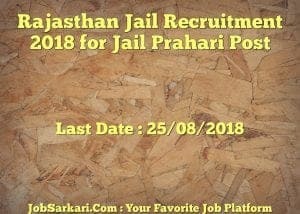 You can check Rajasthan - Rajasthan Jail Department last date, download Rajasthan notification, visit Rajasthan official website and check other Rajasthan Vacancy details.Complete Vacancy and recruitment Details about 670 Jail Prahari Post 2019 Final vacancies in Rajasthan are provided below by JobSarkari.Com only for you. Last Date for Payment of Fee 16/08/2018. Application Fees Can be Submitted through Online mode or Offline at E-Mitra Kiosk. Jaipur 61 27 27 18 134. Bharatpur 38 16 20 05 79. Jodhpur 39 15 13 13 80. Udaipur 44 17 15 11 87. Kota 56 14 11 14 95. Bikaner 40 13 09 11 73. Ajmer 47 20 16 14 97. TSP Area 04 00 03 18 25. Total No of Post 329 123 114 104. 670. Q. What is the Last Date For Rajasthan Jail Prahari Post 2019 Final Vacancy ? A. Last Date for Rajasthan Jail Prahari Post 2019 Final Posts is 25/08/2018. Q. What is the Form Type of Rajasthan Jail Prahari Post 2019 Final Recruitment ? A. The Form Type for Rajasthan Jail Prahari Post 2019 Final Posts is Online. Q. How many vacancies are available in Rajasthan Jail Department Jail Prahari Post 2019 Final Posts ? A. There are about 670 Vacancies in Rajasthan Jail Department Jail Prahari Post 2019 Final Posts. Q. What is the Full Form of Rajasthan ? A. Full Form of Rajasthan is Rajasthan Jail Department . Please go through With Notification.